Welcome to "La Isla". Where everything is possible! One of the most famous islands in the world, a real Capital of fun and a reference point in the field of international Clubbing. Ibiza is the perfect half for lovers of fun. The eccentric and cosmopolitan Queen of the Balearics. The paradise of good life. Its clubs are famous all over the world. The most important artists, and internationally renowned DJs, every summer, entertain and unleash tourists. "La Isla" you have to live it to really understand it. A place where everything is possible. In which everything passes at a frenetic and frantic pace, and without inhibitions. From here, they love to go to the disco and go to the beach in the afternoon. An uncontrollable island and, therefore, sometimes excessive. But Ibiza is not just fun. The Island enjoys an excellent position in the Mediterranean. It has an incredible nature, with a turquoise sea that blends perfectly with its rich and uncontaminated vegetation. Wonderful are, above all, the myriad of coves and inlets, especially in the northern part of San Antonio. 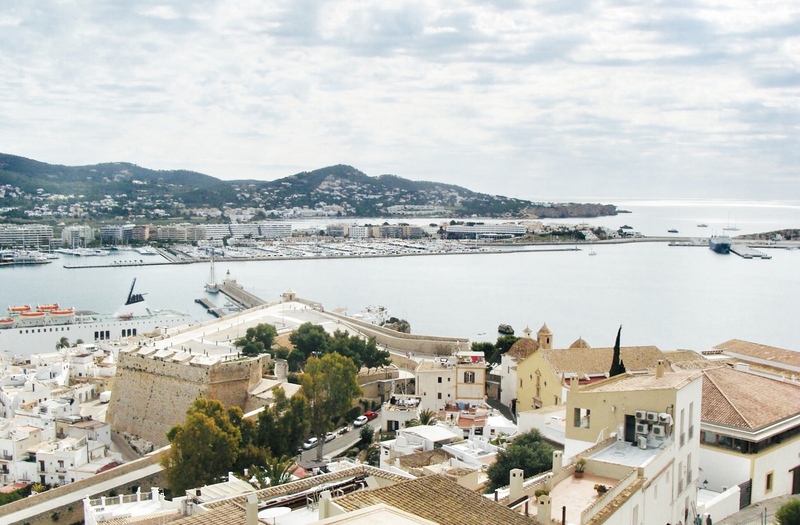 Eivissa is a place rich in history and centuries-old traditions. Its historic center has been declared a World Heritage Site by UNESCO. The human settlement dates back to 5000 ac, and, many, are the peoples who have inhabited these areas, changing each one's history. North Africans, Phoenicians, Carthaginians, Greeks, Romans, Byzantines, Arabs. For history lovers, do not miss the visits to the inhabited center of San Caleta and Dalt Villa, where the fortified city rises. In these places, full of history, you can enter through the many streets with ancient buildings and beautiful churches. The aircraft it is the best, quickest, and cheapest solution to reach the island. Eivissa Airport is located only 7 kilometers southwest of the city center. With its 8 millions of passengers a year, of which over 80% between May and October, is one of the busiest airports in Spain, in high season. It is well connected, with direct flights, with the main European and extra-European destinations. By bus, with the 9, 10 and 24 lines, practically every area of ​​the island can be reached. Info, companies, costs and connections they are available on our official page, from this link. Every day, there are numerous connections with Spain, Mallorca and the nearby Formentera Island. The port of Eivissa is particularly busy, especially in the high season. The island, in fact, is one of the main tourist destinations, particularly renowned for its nightlife. From the Port of Ibiza, over 60 daily itineraries are guaranteed, with Denia, Barcelona, ​​Valencia and the Balearic Islands. In August, there are rides every hour for Mallorca Formentera. The time of the crossing varies from 30 minutes to Formentera, to 9 approximately hours to Barcelona. Balearia, Trasmapi, Aquabus and Mediterranea Pitiusa, are the navigation companions that manage the connections with the island. From the port, the center can be reached by car, by taking the C731 road, or by bus.